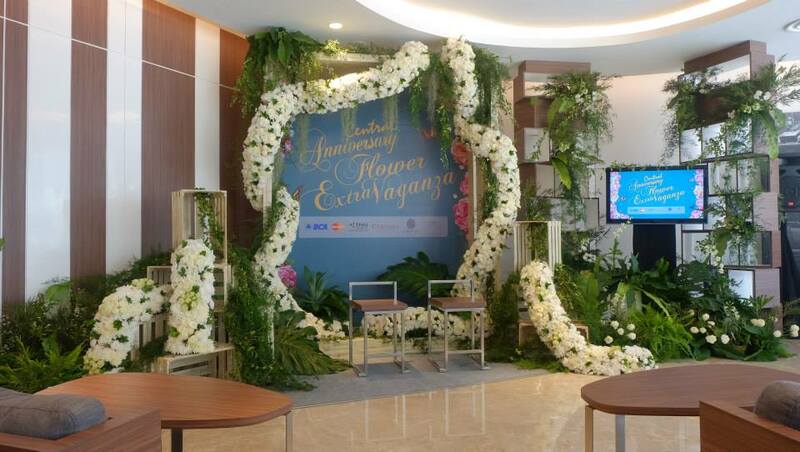 Central Department Store Indonesia presents the Central Anniversary Flower Extravaganza displaying fresh flower decorations, art and entertainment within their store to mark their first anniversary in October 2015. 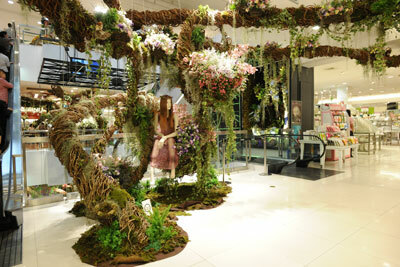 September, 2015 – Central Department Store located at Grand Indonesia has been preparing to hold the Central Anniversary Flower Extravaganza with the theme Floral Paradise from the 1st – 5th October, 2015 in their store to mark its first anniversary in Indonesia. 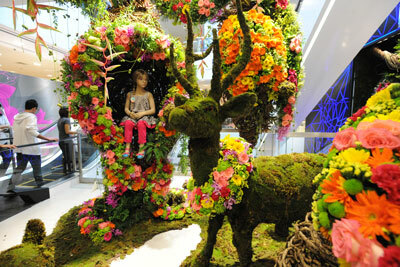 Central Anniversary Flower Extravaganza was adapted from Central Department Store Thailand, in which the event brings together collaborates fresh flower decorations with art and entertainment shows that have become the annual signature anniversary event of Central Department Store, which has been on-going for more than 20 years. 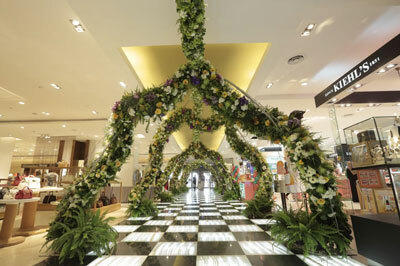 Central Anniversary Flower Extravaganza – Floral Paradise will present fresh flower decorations and displays in an area of more than 800 sqm, spanning the four floors of their store this is the first time for an event like this in Indonesia. 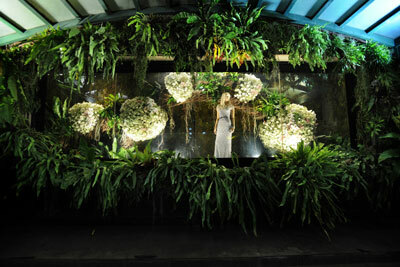 Central Anniversary Flower Extravaganza, hosted by Central Department Store Indonesia, will present 5 days of in-store festivities that will be brightened by celebrities and artist performances each day, as well as beauty workshops and flower arrangement classes that will be given by professionals in each field. 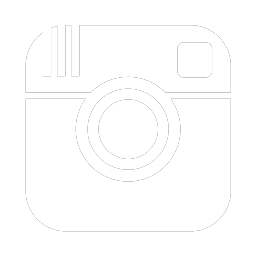 Central Department Store also invites online communities on social media to enjoy the excitement of Central Department Store’s first anniversary by using the hashtag #CentralFlowerExtravaganza. Central Department Store Indonesia collaborates with the famous Indonesian accessories designer, Rinaldi A. Yunardi to create a special headpiece collection with a floral theme and paired with exclusive fashion labels from Central Department Store that will steal the show at the opening ceremony of the Central Anniversary Flower Extravaganza. Renowned Thai designer, Disaya Sorakraikitikul through her label, Disaya exclusively available only at Central Department Store will be presenting Autumn/Winter 2015 collection at the Central Anniversary Flower Extravaganza event. In conjunction with their first anniversary, Central Department Store will hold a special program, ‘Shop & Win Top Spender’ with the ultimate prize of 5 holiday packages to stay at Centara Grand at CentralPlaza Ladprao, Bangkok, Thailand for 3 days and 2 nights and they will fly with the leading airline in Thailand, Thai Airways. Specials for the top spenders who use their MasterCard credit card, receiving an additional prize of an allowance worth IDR 10,000,000. Central Anniversary Flower Extravaganza is a show of gratitude from Central Department Store to their loyal customers for their endless support for Central Department Store’s development. Along with the fresh flower decorations, entertainment and art performances, Central Anniversary Flower Extravaganza will offer interesting promotions such as discounts of up to 30% on selected items, cash discount coupons worth up to IDR 750,000 for certain nominal spending amounts and for customers who use their BCA Credit Card, Central Department Store will give an additional cash discount coupon worth up to IDR 100,000. 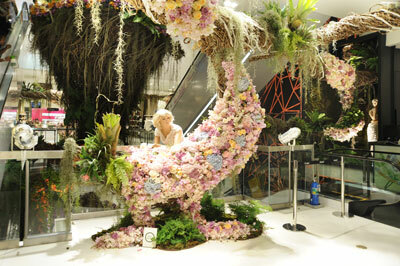 Plus there will be additional prizes from Central Department Store in the form of shopping vouchers. 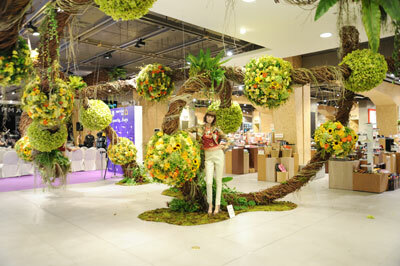 "Through Central Anniversary Flower Extravaganza we want to give our gratitude and appreciation for Central Department Store’s customers by presenting amazing fresh flower decorations in our store, this is the first time such event is being held on such a grand scale in a Department Store in Indonesia. We want to mesmerize our customers and guests the moment they arrive, delighted by the nice aroma and the beauty of the flowers, to inspire love for nature. 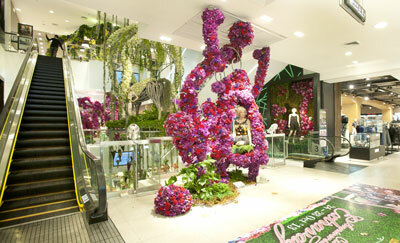 In each floor, the theme color is different, like a journey to different places. They will get different moods and tones as they visit each floor, and enjoy taking photos of each corner during their shopping time. In addition, we will also give special promotions throughout the month of October 2015 "said Joshua Pycroft, Managing Director, of PT Central Retail Indonesia. The journey of Central began in 1947 with a family store established by Mr Tiang and his eldest son Samrit Chirathivat. This business then expanded into the ‘Central Trading Store’ with a two-storey unit in a new location. It was here that Mr Tiang and Mr Samrit began importing goods such as books, ready-made clothing and cosmetics from the US and Europe. In 1956, Central set a new standard for the retail business in Thailand with its first Central Department Store in the Wang Burapha district. Central Wang Burapha was the first shop to set up merchandising displays for customers and pioneered the idea of fixed-priced goods and services in Thailand. 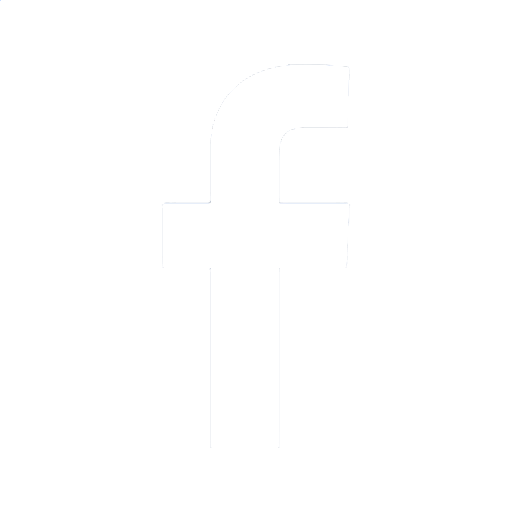 This vision for the best and innovative shopping experience for its customers continues to live on with Central Group today. With the ethos of a family feel and a commitment to search the world for the best products and services, Central has truly become Thailand’s best-loved department store for almost the last 70 years. On 9th December, 2005, Central experienced a very special day. It is the only department store in Thailand to have received the prestigious Royal Garuda Emblem, which is bestowed by His Majesty the King of Thailand to companies with exceptional good standing, transparent operations, virtue and trustworthiness. In 2014, Central expands its business into its ASEAN neighbor with the launch of Central Department Store Indonesia at Grand Indonesia East Mall in Jakarta. Our first flagship store in Indonesia promises to embrace our cultural heritages, give support to the local community, as well as catering to the wants and needs of the modern lifestyle and affordable luxury in Asia, offering only the best and most personal shopping experience and have customers bring back home bags full of happiness.